Multi-brand retail chain, V-Mart is aiming to expand its store network up to 200 in non-metro cities in next four years by adding upto 25 stores every year,as per a report in PTI. "We would double our size in next three to four years. 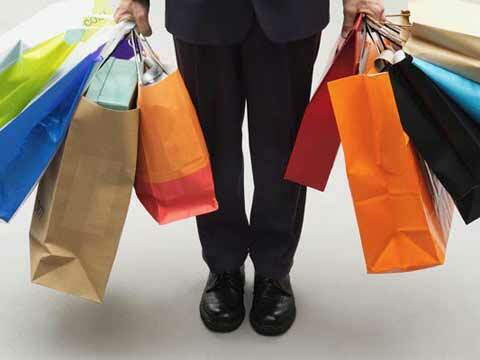 We would keep adding 25-30 stores every year in our network," V-Mart Retail Chairman and MD Lalit Agarwal told PTI. He further added "We aspire to have 114 stores in our network by the end of this fiscal." V-Mart, which today opened its 100th stores in Patna plans to continue to add more stores at smaller places. It has plans to add new stores in Lucknow, Allahabad and foray in places like Kishanganj, Purnia in Bihar and some places in West Bengal during this fiscal. Presently, it is operating in 86 cities in 12 states. According to Agarwal, the company is investing around Rs 2.5-3 crore to add a new store in its network. "Right now we are gradually expanding in East. Then we would move to North-East and in places like Assam, Bengal and Odisha. We have a cluster-based format and would move down south in phases," Agarwal said. The company, which is expanding at a compound annual growth rate (CAGR) of over 30 per cent, has sufficient funds for its expansion, he said. "As of now, the company has sufficient reserve and is generating funds to meet its expansion. Till a CAGR of 30 per cent, the company can meet its expansion through its existing funds and internal accruals. When we want to grow beyond 30 per cent then we would need funds," he added. "Now all the new stores have only apparels. They are a family fashion store. We think that fashion and FMCG don't gel together," he said. On being asked whether the company would have exclusive tie-up with any leading fashion designer, Agarwal said, "We are following the trend and trying to make it affordable. Our market base is little different. It is mid and aspiring income group."